Foreign journalists say they have been freed from the Rixos hotel in Libya’s capital Tripoli, where pro-Gaddafi guards have been holding them for several days. Journalists report there is heavy fighting nearby. According to the Associated Press, the journalists had to stay clustered on the second floor, as the guards told them they were not permitted to leave. Most of the some 35 foreigners stabled at the hotel are be British and American journalists from the BBC, Sky, CNN, Fox, Reuters, Associated Press and Chinese television. The foreign group, which was forced to stay at the Rixos for at least five days, is also said to have included a US congressman and an Indian parliamentarian. by government enforcers, whose weaponry has convinced us of the wisdom of staying put. The journalists’ standby was interrupted only occasionally, with the latest event being the appearance of Seif Al-Islam Gaddafi on Tuesday early morning. Gaddafi’s son, reported as captured by the rebels just hours before his arrival at the hotel, took several reporters to Gaddafi’s compound in Bab al-Aziziya. But when the Libyan opposition forces started their advance on the compound later on Tuesday, the reporters again found themselves unable to leave the hotel and cover the actual events in the streets. Rixos is cut off from running water and the power is operating rather sporadically. Shortages of food and bottled water were starting to be felt, say the trapped journalists. 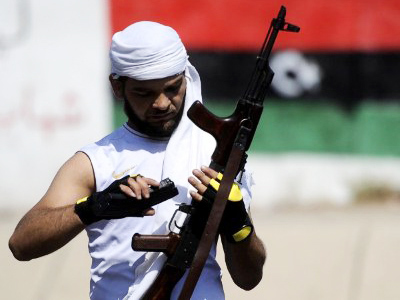 Meanwhile, reports suggest snipers are firing at rebels at the Libyan leader's compound in Bab al-Aziziya. 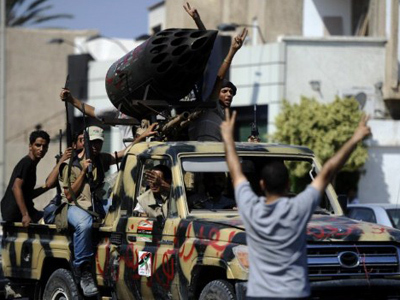 According to Al-Arabia television, pro-Gaddafi forces are bombing central Tripoli. 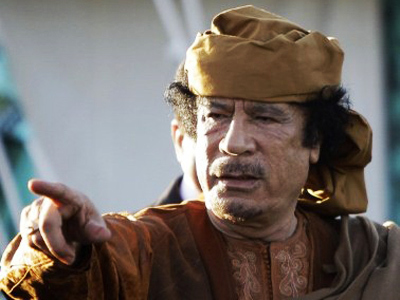 Gaddafi’s whereabouts, however, remain unknown. 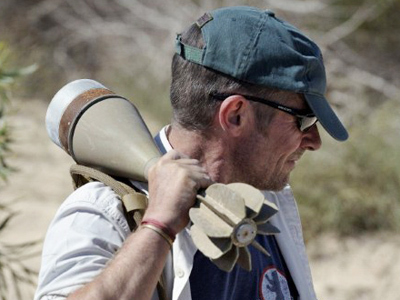 But the rebels officials believe the colonel is still somewhere in Tripoli, reports Reuters. Muammar Gaddafi earlier made his second radio address in the space of 24 hours, calling on supporters to cleanse the capital. He claims his retreat from the compound was tactical, and promised to fight to the death.